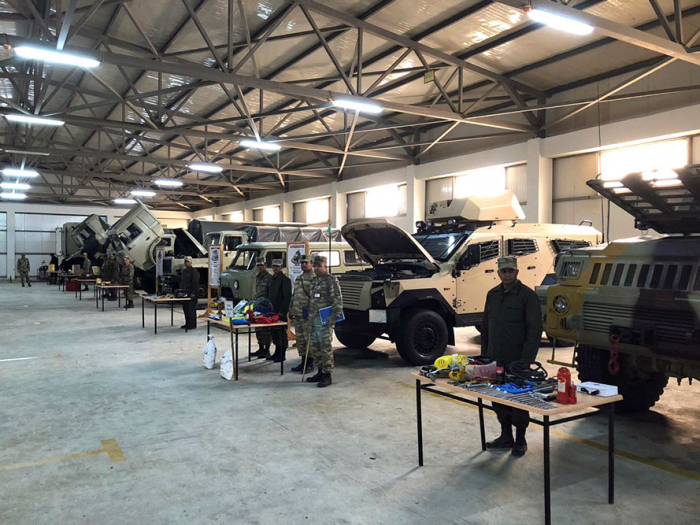 The process of transferring of weapons and specialized military equipment into the winter mode of operation is underway in all military units of the Azerbaijan Army. All military units are centrally provided with the fuel and lubricants, as well as with other necessary spare parts and equipment to ensure uninterrupted and stable use of weapons and military equipment during the winter period. The replacements of fuel and lubricants, as well as scheduled service of specialized military equipment, were carried out in the maintenance points established in the military units. Transferring of weapons and military equipment into the winter operation mode is aimed at increasing the fighting capacity as well as maintaining high combat readiness of military units in cold climatic conditions, in mountainous terrain, during the night and daytime.